When it comes to seafood, the very thought makes your taste buds watery in seconds. Especially, when it comes to crab cakes and live lobsters, there simply cannot be any delicious treat. Recipes are wide in variety and people flock from remotest destinations to have a unique taste of these seafood stuffs. Needless to say, they are amazing to taste and assures to whet your appetite. Just imagine a balmy ambiance where you get a bun stuffed with delicious crab cakes and a chic glass of white wine to gulp. If you have always waited for the moment, simply head towards a nice eatery and order alongside a shellfish sandwich jammed with sauce. It’s certainly a wonderful treat to your tongue. Crab cakes are wonderful to cook. One crucial fact about preparing these seafood delicacies is that you need high-quality ingredients. The crab meat that comes fresh can be easily canned and frozen. Well, getting fresh crabs might be a bit difficult unless you are residing in close proximity to the sea. If you are looking for flavor, try to get frozen crabs that are made up of claw meat. However, they usually don’t go well with the other seafood recipes and can be disappointing for the seafood junkies. So, canned crab meat can be a superb choice. Canned crab meat has a special place for sea foodies. Canned crab meat recipes are available in varied sizes ranging from jumbo, lump to colossal ones. With any of these choices, you can prepare delicious recipes on crab cakes. As a matter of fact, the lump sizes are mostly preferred for preparing seafood cuisines. These include meat in small pieces that blends superbly with other ingredients and rather help to hold and give shape to the crab cakes. Being one of the delicate seafood, crab meat is simply awesome to gorge and can be flaked easily. Try to handle the meat with care and get all the other ingredients mixed before you fold the crab into the mixture. When the blending is done successfully, ensure that the ingredients have been perfectly united that goes to form a ball. Naturally, if the mix is not done correctly, the cakes can never hold together. Well, in such cases, you can either add an egg or some milk or water to prevent the crab cakes from breaking apart. 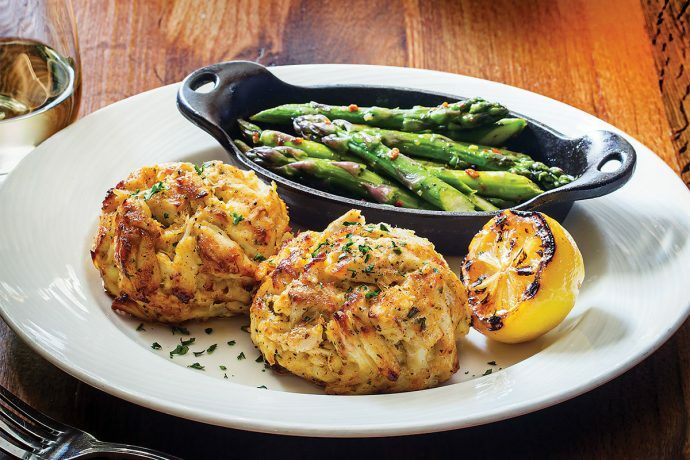 In the course of the turning process, crab cakes can break apart at any time. So, you can use spray oil in a non-stick pan to prevent cakes from sticking. Form the cakes in the form of a round ball and cook on the first side. With the help of a spatula, you can easily flatten the cakes. The browning on one side of the cake will certainly hold the ingredients intact while turning the patty. There are a plethora of seafood recipes available. However the one that tastes best largely depends on the cook’s personal choices and preferences. So you can always make use of the above mentioned tips and stun your guests by preparing crab cakes. To know more seafood recipes, simply browse the sites.